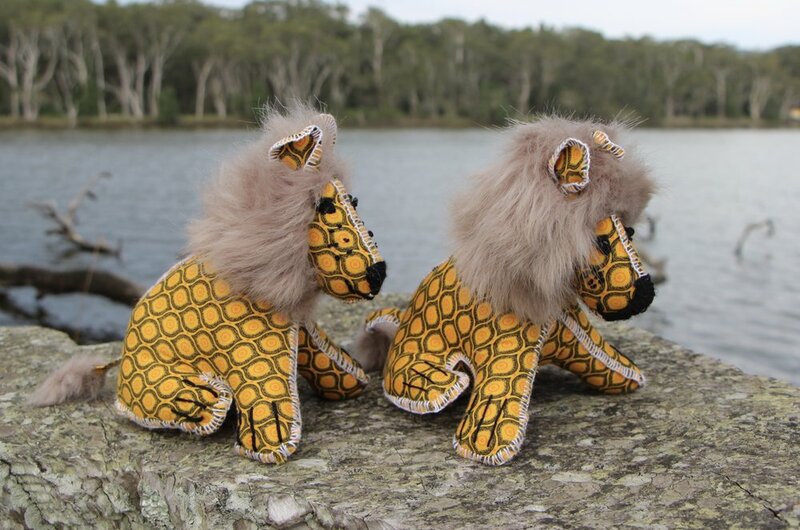 Our ethical lion toys are here! Well this is exciting! We've been wanting to sell these little guys for a while now, so with their arrival last week I just couldn't wait to take them down to the lake for a photo shoot and get them up on the website for you guys to buy! Now these aren't just your average toys. These gorgeous creations are made by an artisanal group of women in South Africa who would otherwise have no income. Lovingly hand made in traditional shweshwe and linen fabric, no two are the same. And it gets even better! 100% of the profits goes to our big cat conservation projects! YAY! We hope you love these adorable toys as much as we do. Take note that being our first ever pride of toys we only have a limited number and I've already received a lot of interest, so GET IN QUICK! Click here to shop now!